What does it take to make a supermodel? Well, in this day and age, it’s more than mere gorgeousness. For starters, it requires a smashing personality, social media savvy, and an uncanny ability to take a top-notch photograph. But it’s a certain je ne sais quoi that produces top talents like Gigi Hadid. Let’s look closer, shall we? GUESS’ Paul Marciano reminisces about his discovery of the 20-year-old mod nearly two decades ago. How did you discover Gigi? I’ve known Gigi since she was born. Her fresh look and charismatic personality just fit the mold for the GUESS brand. Do you remember what it was like working with her as a kid? Gigi was full of life, loved having fun, and always had a carefree attitude. Having her on set was always such a pleasure. What’s it like working with her now? Gigi has been part of the GUESS family for 18 years now, so it just feels natural. Each time she comes back and works for GUESS, it’s gratifying to see that she is the same confident and strong individual she always has been. It’s very rare to see someone earn so much success and not lose sight of their values. How has your relationship evolved over the years? 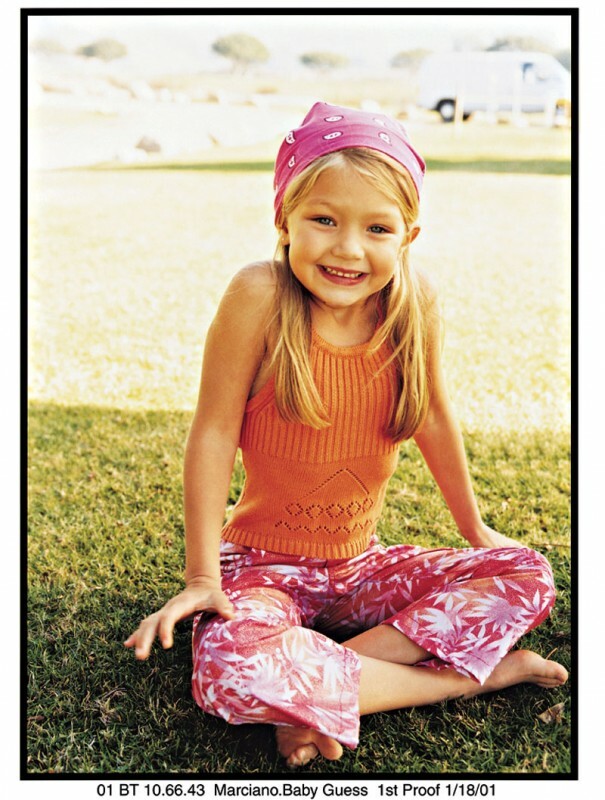 Since Gigi began modeling at such a young age, I’ve been able to teach her new and valuable things throughout each stage of her life and modeling career. She has been able to turn to me for anything she needs, and I will continue to be there for her. But clearly, the stronger role model in Gigi’s life has been Yolanda, her mom. She instilled discipline, respect, and love for achievement into Gigi’s life since a very young age. What do you think it is about Gigi that is so appealing to everyone? Gigi has such an amazing personality—people just love her. Her natural beauty, positive attitude, and lighthearted nature are just magnetic. It’s truly been incredible watching her grow into one of the biggest models in the industry. What do you want to see for her next? Her stardom has blown up this past year, and I believe we are just barely starting to see the endless potential and talent that she can achieve.